When it comes to travel loyalty programs, consumers have many choices. Hotels, airlines and credit cards all have their own offerings. So how is a consumer to know if he/she is enrolled in the best travel loyalty program overall? 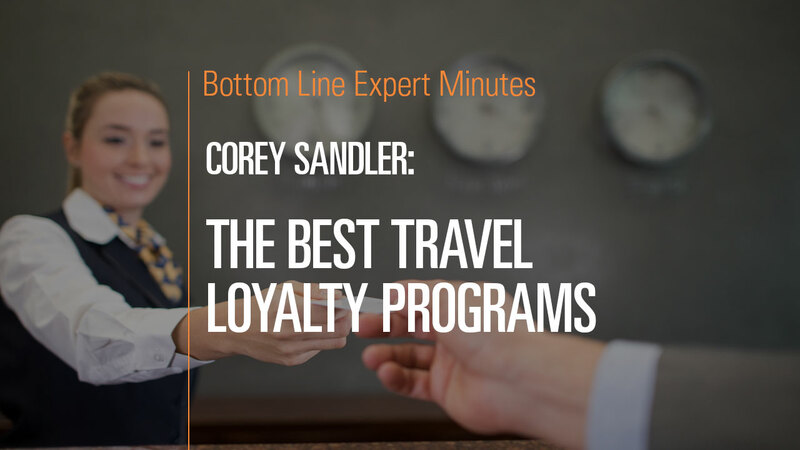 Corey Sandler, consumer expert and author of Bottom Line’s Secrets of the Savvy Consumer, suggests that travelers prioritize flexibility and find programs that allow them to use points accrued at a variety of establishments, not just one airline, hotel, etc. And he urges consumers to try to double up or stack rewards in order to get the most return on the expense. One example: Accrue hotel loyalty points by staying at a hotel that you pay for with a credit card that gives you additional points/miles (for the same or another loyalty program). Generally, you should purchase additional miles/points with cash only if you absolutely need to after researching the pros and cons.